Your love is unique and so should your gift to your special someone. A love lamp handmade and customized to present and reflect your true feelings in a brighter way- what more you can ask for as a special and unique gift? The love lamp will brighten your love life and rekindle your romance. Specification: 5" cube. Made of MDF. Comes with an electric adapter. Matter can be customized to ‘Happy Birthday’, I/ We miss/love you. Order before 3-4 pm for Same Day delivery In Jaipur Between Monday to Saturday. Preferred delivery option According To Delivery Date Only In Jaipur (Hand Delivery)	(+₹99) Delivery in 3-4 working days (Via Courier)	(+₹100) Deliver with cake or flowers, for same day delivery order before 2 pm. Love Lamp can truly be one of the best gift you can give it to your romantic interest. 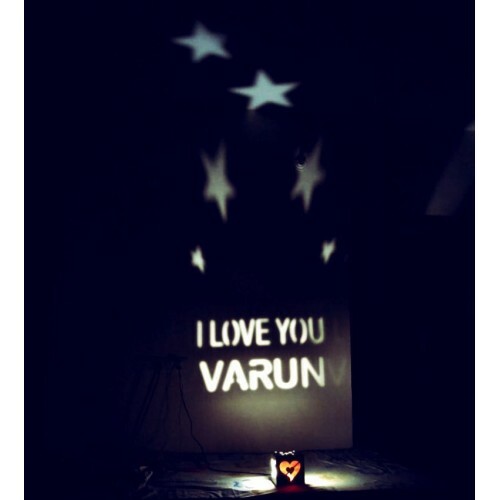 You can gift it to your spouse and make special occasions like birthdays, anniversaries and you can celebrate other milestones in your love life with this cute Love Lamp. The Love Lamp will be a perfect gift for New Year and also for the Valentine’s Day which will make your special someone’s face glow with love and affection for you. Use it as a decoration and a utility item and place it on your bedside table, side table in the living room. You can also place the Love Lamp on a mantle. •	You can also place it on your Coffee table, desk etc.